Back in the early 00’s, a Leeds solicitor found himself being approached by various acquaintances seeking guidance in charity formation. Recognising the common needs of small community projects across the city, this solicitor became one of our founding trustees when in 2003, LCCT was born out of the novel vision to create one single charitable organisation, with one single set of trustees and back office functions. 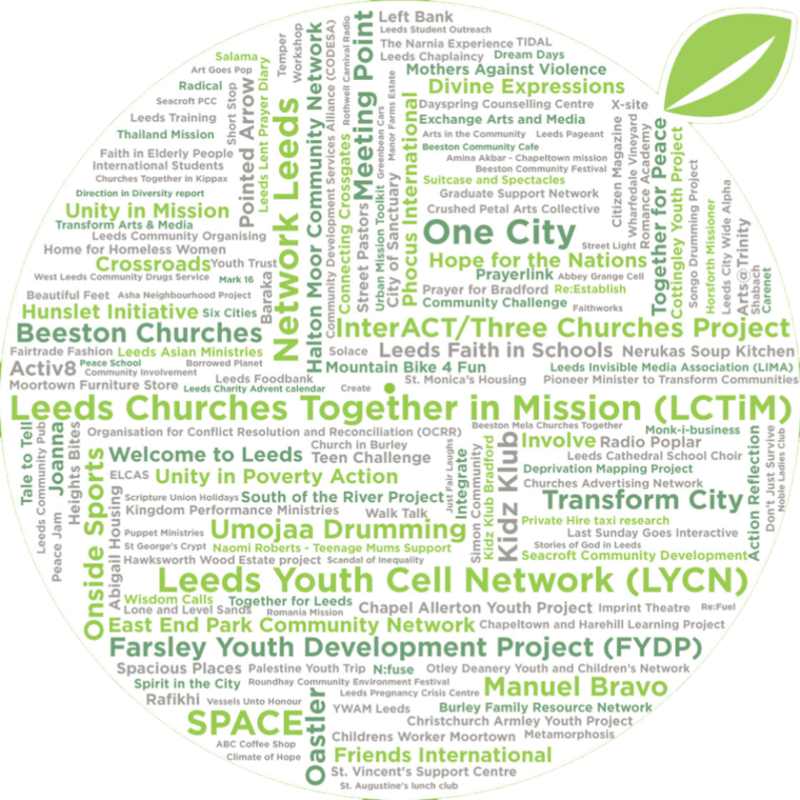 Among the first projects of LCCT were the Joanna project, Together for Peace, Leeds Youth Cell Network and Leeds Churches Together in Mission. Without LCCT the vision for the Joanna project would not have been possible. In the early days the support and structure were not things we could do ourselves. LCCT really released us to fly! We continue to value being part of the LCCT relational network that feels like home. Not only did the LCCT structure transform the way community projects worked together, we were also given an outrageously generous offer of funding to help seed transformational initiatives in the city of Leeds and, over a period of 11 years, almost £2.4 million was given out through LCCT. This is where all the money went! We no longer give out funds, but since we began we have supported the emergence of over 200 different projects in Leeds. Numerous projects have gone on to become their own charities, while continuing to play a part in the LCCT network of relationships.